Electric-vehicle makers are getting another boost in Quebec, where a paper product manufacturer is offering $2,000 to employees who buy an EV within the next year. Cascades Inc. said the incentive will initially be limited to its 1,400 employees based in Kingsey Falls, where the company is headquartered. The $2,000 incentive means those employees can receive up to $10,000 in rebates if the zero-emissions vehicle they buy qualifies for the maximum provincial incentive of $8,000. Quebec is one of three provinces that provide financial incentives to those who buy electric vehicles — Ontario and B.C. are the others. But, Quebec is the only province that will mandate a certain percentage of automaker’s sales be of the zero-emissions variety. The province is scheduled to begin those mandatory quotas with a 3.5 per cent minimum for model year 2018 and increasing that percentage over the following years. “An internal survey revealed that 63 per cent of our employees are considering purchasing an electric vehicle in the near future,” Cascades CEO Mario Plourde said in a statement. “As a responsible employer, we would like to help them turn intentions into action. Cascades Inc., which employs 11,000 people worldwide, has installed 22 240‑V charging stations and one 480‑V fast charging station at various plants throughout Kingsey Falls. The company already had seven charging stations there. Cascades said its fast-charging station will be open to all drivers, travellers, tourists as well as employees. 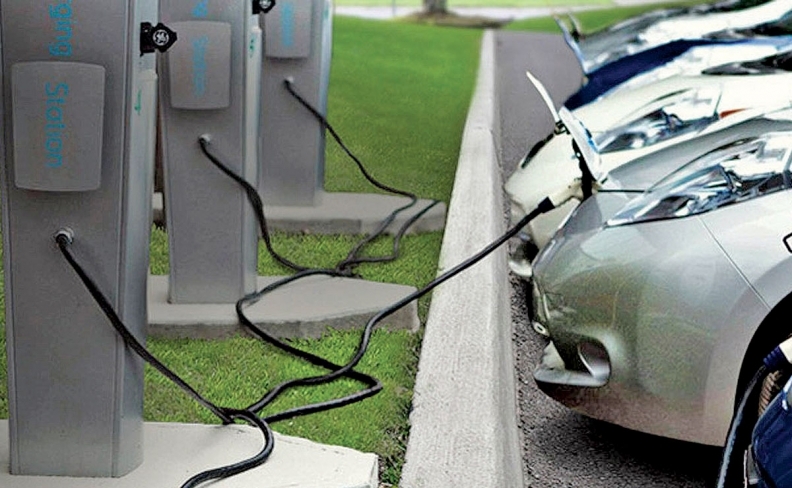 Quebec company AddÉnergie is the charging station manufacturer that was contracted for the project. André Fortin, Quebe’s minister of transport, sustainable mobility and transport electrification, said in the same statement that it will take a combination of factors to expand green vehicle sales within the province. He said wider variety and more affordable prices are two keys to increasing the fleet of ZEVs in Quebec. He said an initiative like Cascades’ “will catalyze the shift by spurring demand."